Beatles fans have a chance to relive the experience with “1964 The Tribute”, August 15, 2013 at the East Kentucky Expo Center, Pikeville, KY. Rolling Stone Magazine calls this show the “best Beatles tribute on earth.” Tickets are $10, and are available at the Appalachian Wireless Expo Box Office or online at www.ticketmaster.com. Presented by Pikeville Medical Center and the Southeast Kentucky Chamber of Commerce. 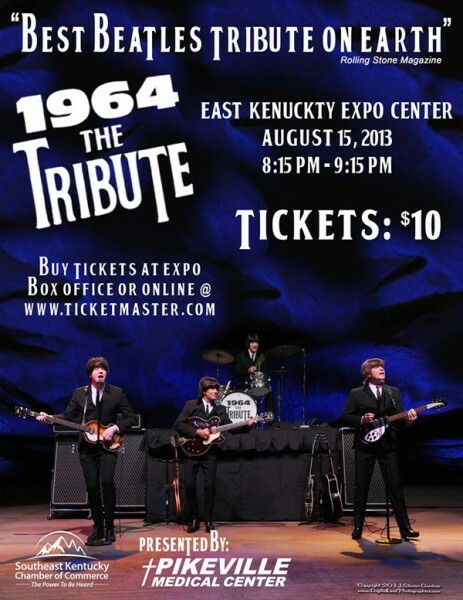 For more information, contact the Expo at (606) 444-5500. 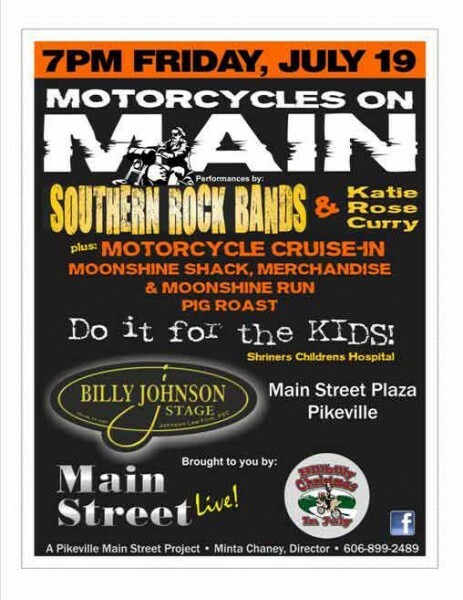 Motorcycles on Main is coming to the Main Street Plaza of Pikeville, Friday, July 19 beginning at 7:00 p.m. Enjoy performances by Southern Rock Bands and Katie Rose Curry. 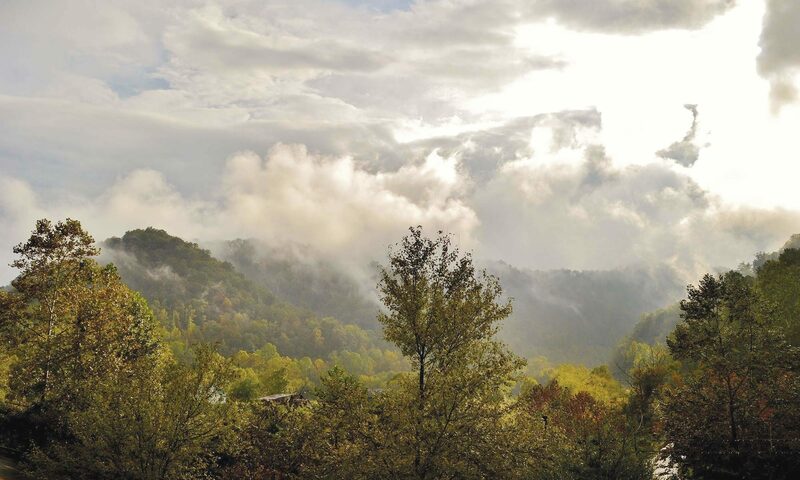 Also featured is a motorcycle cruise-in, Moonshine Shack, merchandise & moonshine run, pig roast and much more. This fundraiser is brought to you by Main Street Live! and Hillbilly Christmas in July. Do it for the kids! For more information, contact Minta Chaney, Main Street Project Director, 606-899-2489.